The Paste Service is a tiny app that runs in the background and allows Pastebot to paste directly into other apps. 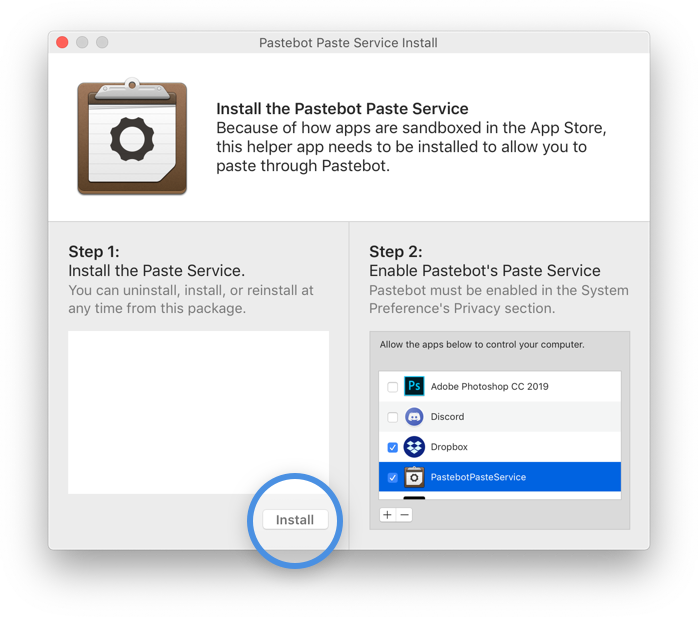 Because apps are sandboxed on the App Store, Pastebot will be unable to paste directly into other applications without this service. This app is only needed for Pastebot purchased on the App Store. Download the Pastebot Paste Service above, locate the installer in your “downloads” folder and run it. Click the “Install” button to install the service. You can uninstall the paste service from this installer as well if needed. 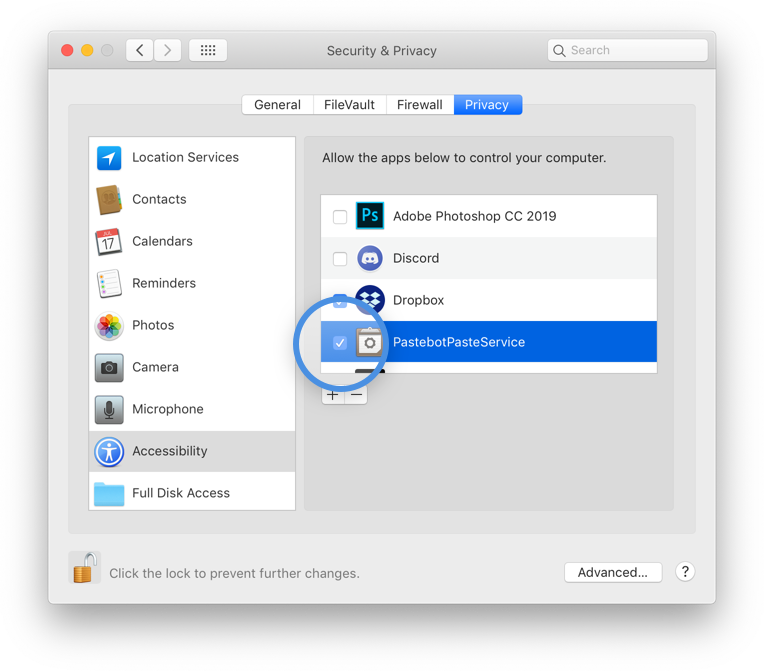 If running 10.14 or later, open your system preferences, navigate to the “Security & Privacy” section, and then “Privacy” tab. Under “Accessibility” you should see the “PastebotPasteService” in the list. This must be enabled and Pastebot should work properly after. If you are having trouble, you may email us at [email protected].